Kick off your visit on the 13th (Tue): take an in-depth tour of Seurasaari Island and Open-Air Museum, admire the natural beauty at Observatory Hill Park, hunt for treasures at Hakaniemi Market, then test your team's savvy at popular escape rooms, and finally make a trip to Porvoo Old Town. 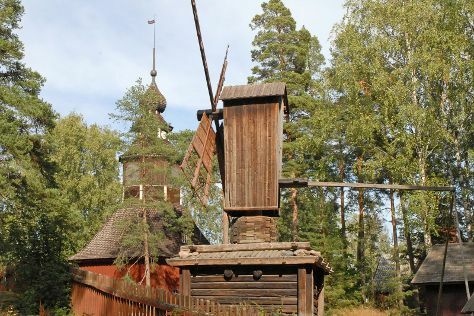 Here are some ideas for day two: appreciate the extensive heritage of Castle Hill, then contemplate in the serene atmosphere at Cathedral of Porvoo, then admire the masterpieces at Kansallisgalleria, and finally get a new perspective on nature at Natural History Museum (Luonnontieteellinen Museo). To see photos, more things to do, maps, and other tourist information, go to the Helsinki road trip website . Sydney, Australia to Helsinki is an approximately 23-hour flight. You can also do a combination of bus and flight. The time zone difference moving from Australian Eastern Standard Time (New South Wales) to Eastern European Time is minus 8 hours. August in Helsinki sees daily highs of 24°C and lows of 13°C at night. Finish your sightseeing early on the 14th (Wed) to allow enough time to travel back home.